Applied Material:River gravel, limestone, granite, basalt, diabase, andesite, tailings,etc. Mobile cone crusher is mainly composed of cone crusher, high performance vibration screen, belt conveyor, motor, control box, etc. The equipped cone crusher can adjust different crushing chambers according to the actual needs, which has expanded the application fields of medium mobile cone crushing machine. Mobile cone crusher or portable cone crusher is mainly used for hard rock crushing, aggregate production, crushing operations in open pit, mining, recycling waste, cement production, tunnel crushing, etc. 1. Good mobility. It can directly drive to the working place, which is not only suitable for ordinary road, but also suitable for the rugged poor road environment. 2. Compact structure, easy to use. The complete sets of equipment greatly save the occupied space. The vehicle mounted generator, motor and control box are convenient for field operations; the vehicle mounted support equipment is convenient and quick to be stationed on the scene. 3. Cost saving. 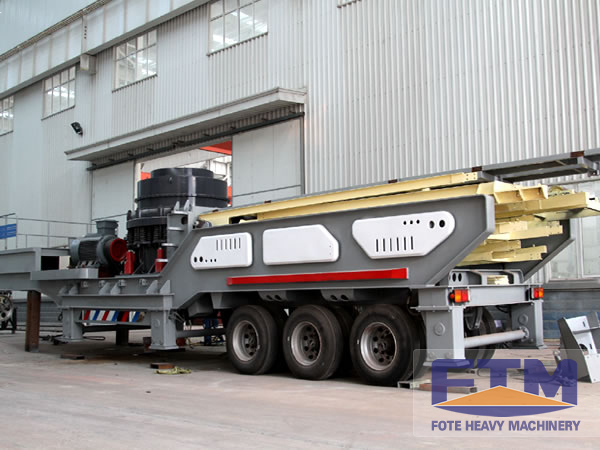 It can realize on site crushing of materials, so as to avoid the turnover link and greatly reduce the transportation cost of materials. 4. Higher applicability. Mobile cone crusher can not only conduct independent operation, but also can be combined into coarse, fine crushing and screening secondary system; coarse , medium and fine crushing and screening tertiary system; screening after crushing or crushing after screening systems. 5. Stable performance, convenient repair. 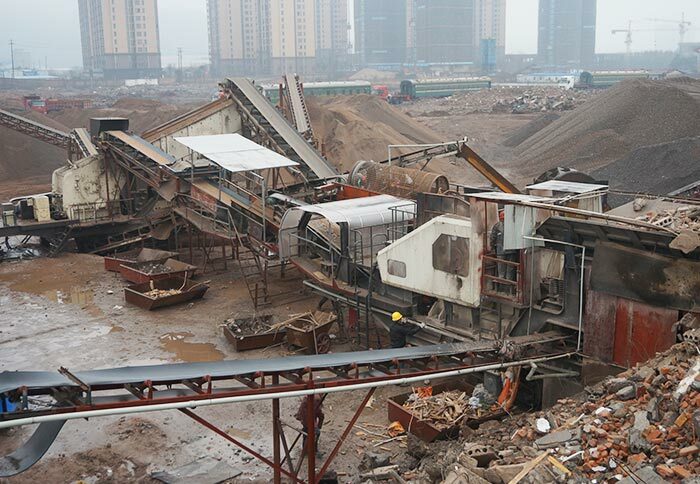 It is equipped with crusher, feeder and vibration screen, which has stable performance and convenient repair; the delivery of material is by the conventional belt conveyor, which has simple operation, mature technology, less investment and high return rate. 6. Flexible configuration. 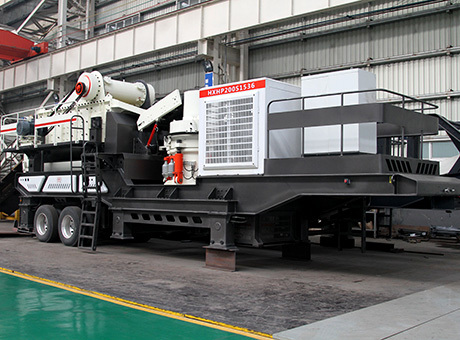 The customization of mobile cone crusher is based on the requirements of crushing sites, material types and grains, so as to provide more suitable production equipment for customers, such as single type, multiple combination type, self-contained belt type, etc. 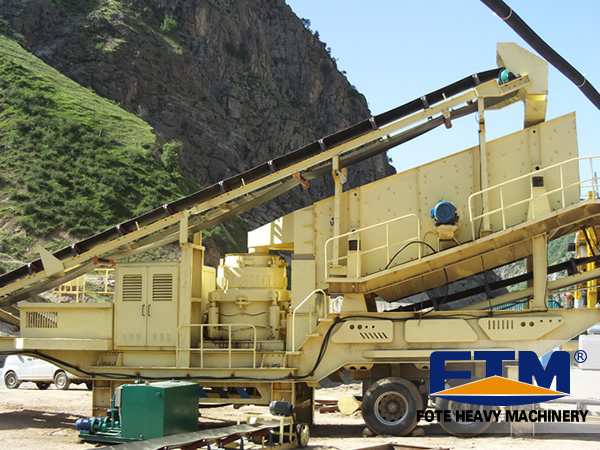 Fote Machinery is committed to providing all kinds of solutions as well as stone crushers for quarry, mining and construction. 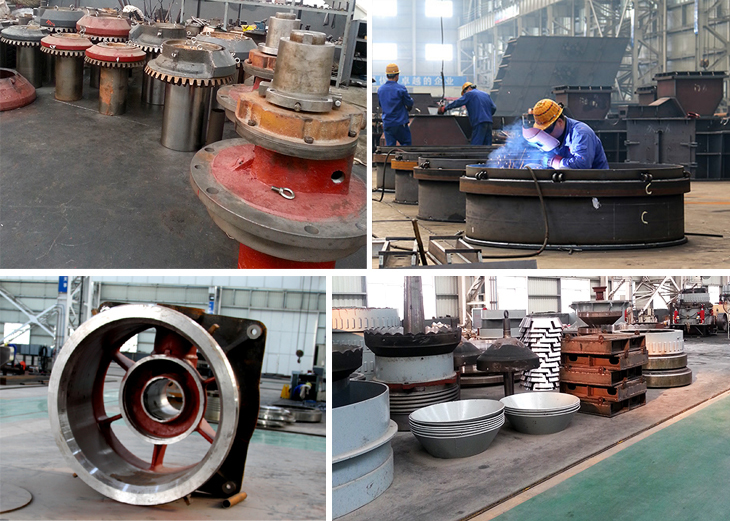 No matter what kind of crushers or crushing plants you need in wherever, we can provide you with a complete solution. This product doesn't have powerplants, which needs to be dragged by trailer. 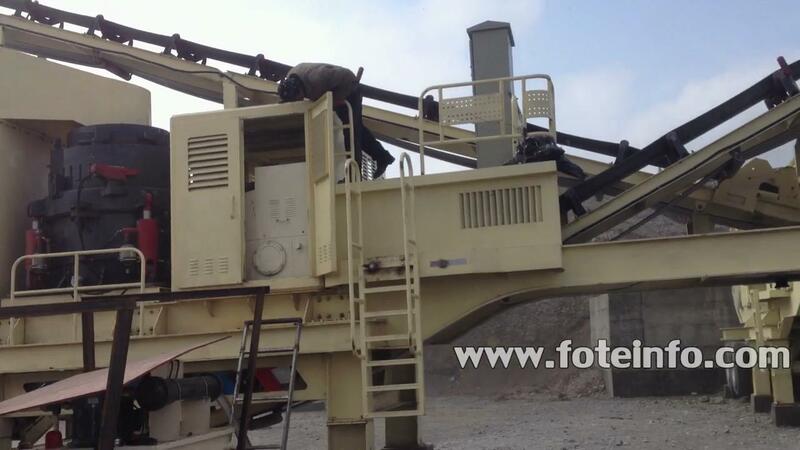 Fote mobile crushing plants have three models, namely FTM3S184PSG09, FTM3S185PSG130 and FTM3S186HP300. The detailed parameters are as below.